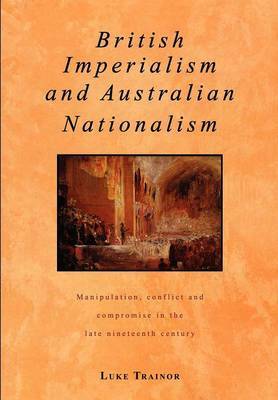 This book examines the relationship of the Australian colonies with Britain and Empire in the late nineteenth century, and looks at the first murmurings of Australian nationalism. It is the first detailed study of the formative period 1880-1900. The book argues that many of the features of the British Empire at this time can be seen in the British-Australian connection. Luke Trainor shows that the interests of British imperialism were greatly advanced in Australia in the 1880s because of the increased involvement of British capital in Australia. And while British imperialism tolerated some Australian nationalism, this nationalism was highly masculine in character, was based on dispossession of the Aborigines and encouraged sub-imperialism in the Pacific. As we approach the centenary of the Australian Constitution and debate about an Australian republic becomes more heated, this book is a timely re-examination of the colonial character of Australia's federation and Australia's incorporation into an imperial framework. Buy British Imperialism and Australian Nationalism by Luke Trainor from Australia's Online Independent Bookstore, Boomerang Books.